I have been seeing searches for “Spanish Wells Hotels” coming in to bahamabook. 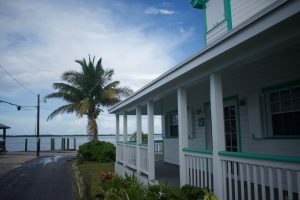 Spanish wells is fortunate enough to not have hotels on the island, at least not large ones. Spanish Wells has not become a tourist trap, and I hope the government of the Bahamas never allows a large hotel chain to build there. There are a good number of homes for rent through the normal online booking channels. Spanish Wells Yacht Haven and Resort is a boutique hotel with six guest rooms, one villa and a 30 slip all-weather marina. 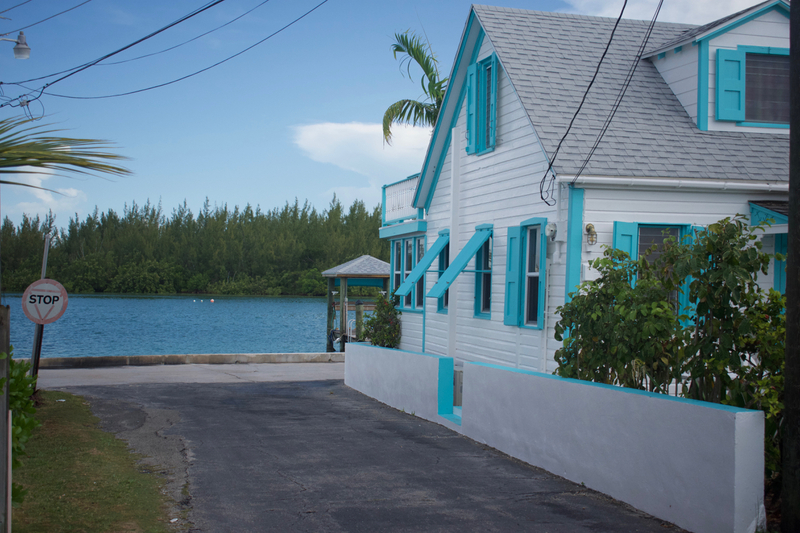 The property features a swimming pool, a restaurant & bar serving Mediterranean and Bahamian cuisine, and a shop. Also located on site are laundry facilities and showers for marina guests. The Generation Gap to me is a take on a traditional diner type restaurant. They serve good food cheap, and in large amounts. 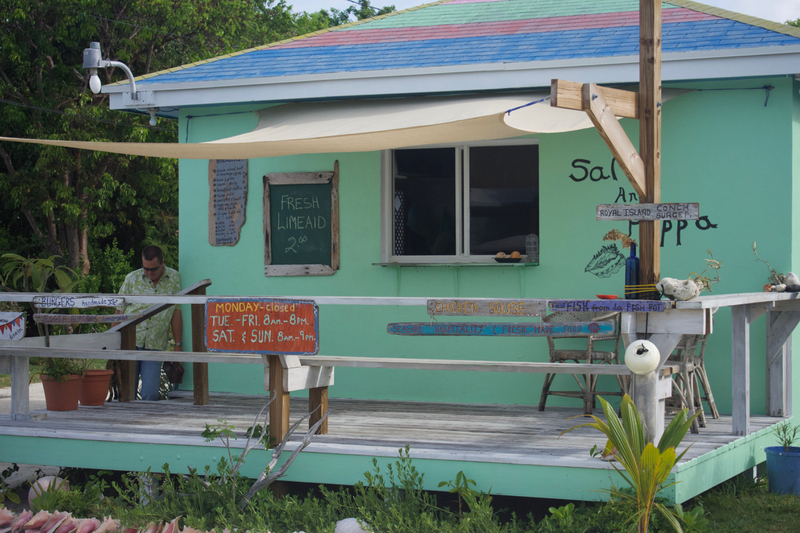 It is also a good place to sample traditional Bahamian food. The Peas-n-Rice is like my grandma used to make. 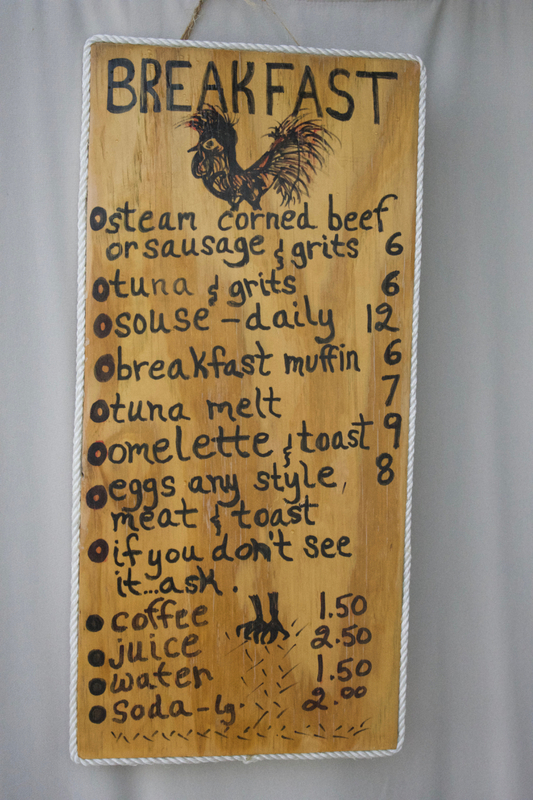 There are quite a few other Bahamian specialties on the menu as well. 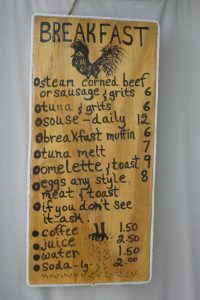 I would suggest the cracked conch! The Generation Gap is a dine in or take out kind of place. I don’t really like the dining room because it is kind of closed in feeling. The entrance of the restaurant has a few tables and a traditional eat-at counter that you’d expect at a diner. It’s fun sitting here in the morning eating breakfast while listening to the locals banter on about whatever is on their minds that day. The deserts served here are pretty good. Careful though, the portion may induce diabetes. 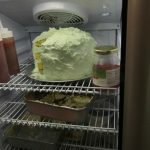 Most of the desert menu consists of cold no bake type deserts with the occasional cake as seen in the above photo. Modern technology is not only affecting our daily lives at home. It is also affecting the way we travel. Not too long ago one went on vacation while vernon at home wondered how the vacation was going, and if every one was safe and healthy. Photos and live video can also be shared to your social media, letting family back home share in your vacation. Now in any modern country there is no need to be disconnected from home. One simply needs to own an unlocked GSM phone. On arriving in the Bahamas for a few bucks one can obtain a local Bahamian number with voice access to the USA and Europe with out roaming costs. 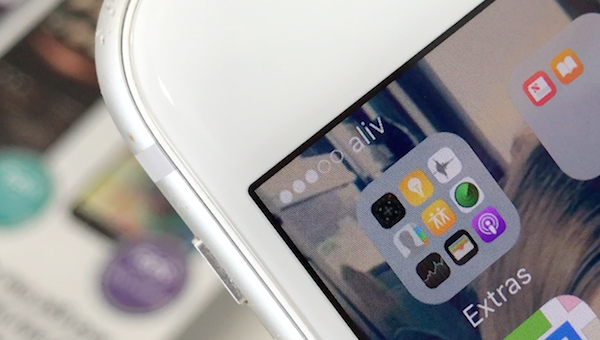 In the video we talked about the iPhone, but in reality any GSM phone should work fine. If you would purchase a phone for this use, then I would suggest purchasing a quad band phone. The following video pretty much goes through the whole process. 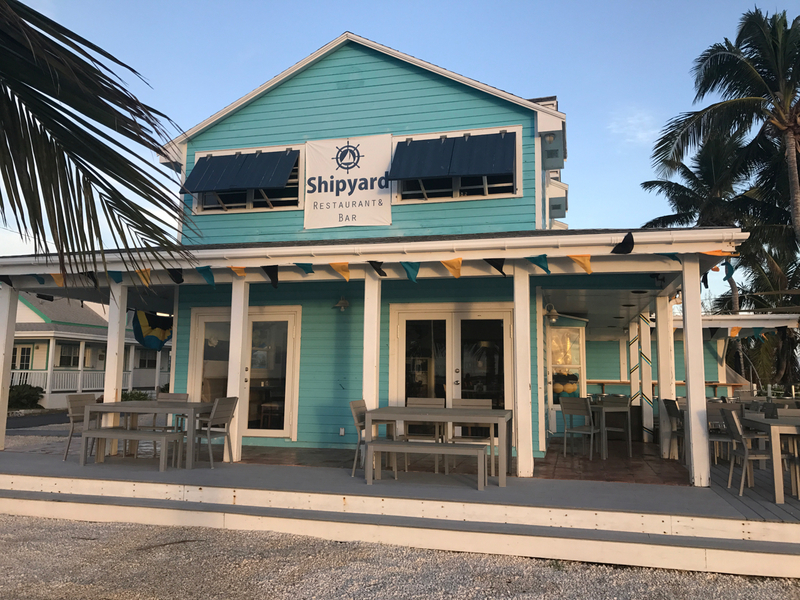 The shipyard is one of the newest restaurants on Spanish Wells. This is a more upscale restaurant bent on changing it up from the fried food, local type food that has traditionally been served at the local restaurants. The View is definitely gourmet! I enjoy simply sitting on the deck, the food is a definite added bonus. On my first day on Spanish Wells we ordered the Smoked Fish dip, and a few beers. As we slowly consumed the food and drink I could not help being drawn to the sea, a mere 6 feet from where I sat. The swaying palms seemed to sing a sweet song of enchantment that would not permit us to leave. 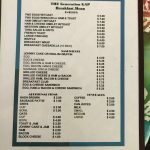 Is a bit more pricy than the other restaurants on Spanish Wells but it is definitely good for at least one visit during the stay. Villa Anna is a second floor apartment, giving you complete privacy. 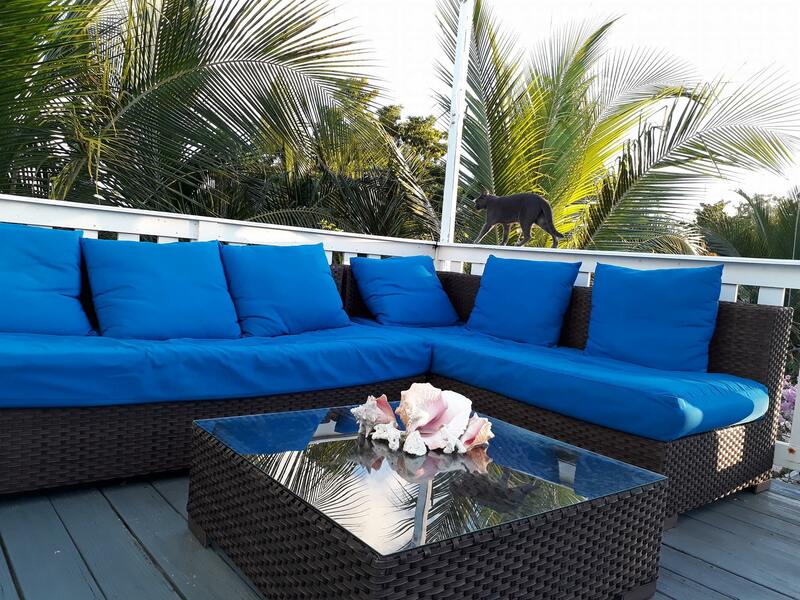 You have your own spacious deck from which to enjoy beautiful sunsets each night. Villa Anna is located in a quiet central street, close to everything, especially the beach! Your apartment is nestled in a beautiful tropical garden with a private entrance. A short walk will take you to restaurants, stores, and boat rentals. You can rent a golf cart or use the bicycles provided to tour the island. The Island of Spanish Wells is 2 miles long, and it is attached by a bridge to the less inhabited Russell Island. There are two bicycles, beach towels, 2 lounge chairs and an umbrella for your use. It’s a slow 2 minute easy walk to a long secluded beach. Onsite Swedish massage available ,child care, if you need a break, and Kayak rentals $15 a day. There is one Stand Up Paddle board for your use. Fishing for Bonefish is challenging in the best of conditions because the fish is extremely spooky. They are hunted by both predators of the sea, including shark and barracuda, while having to keep an eye out for the osprey from above. 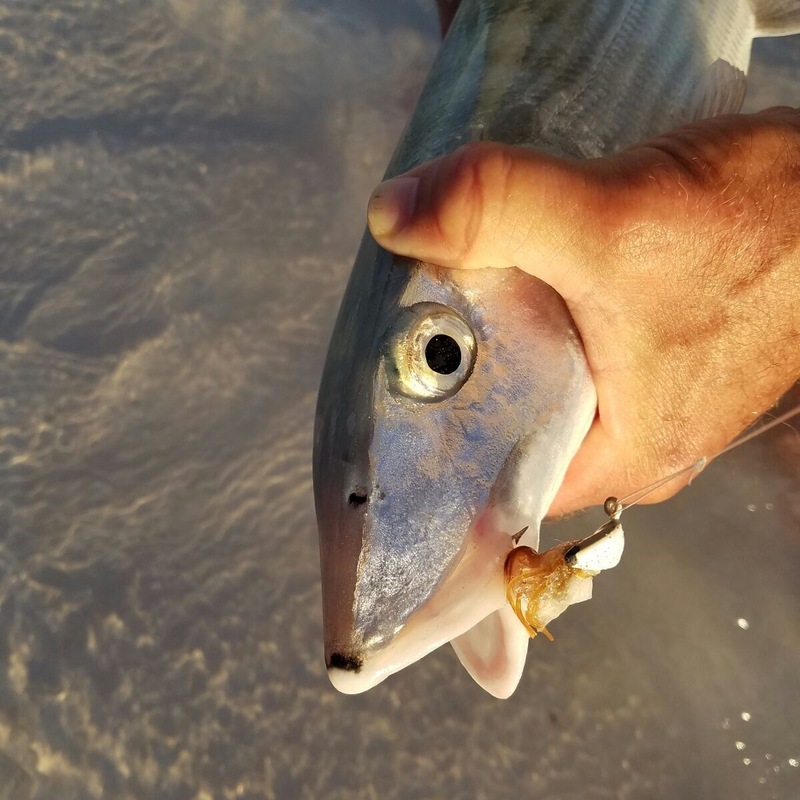 Add to this that the bone fish feed in very shallow waters, sometimes mere inches deep, and you have for yourself a combination of circumstances that produce a very skittish fish. Hook up on one and you realize very quickly why you’re fishing with an 8 weight rod. Shaw provides top notch gear including Loomis rods equips with Hardy reels and custom tied flies. No need to haul gear, just show up. The saying “Your only as good as your equipment” is definitely the case when chasing bonefish. 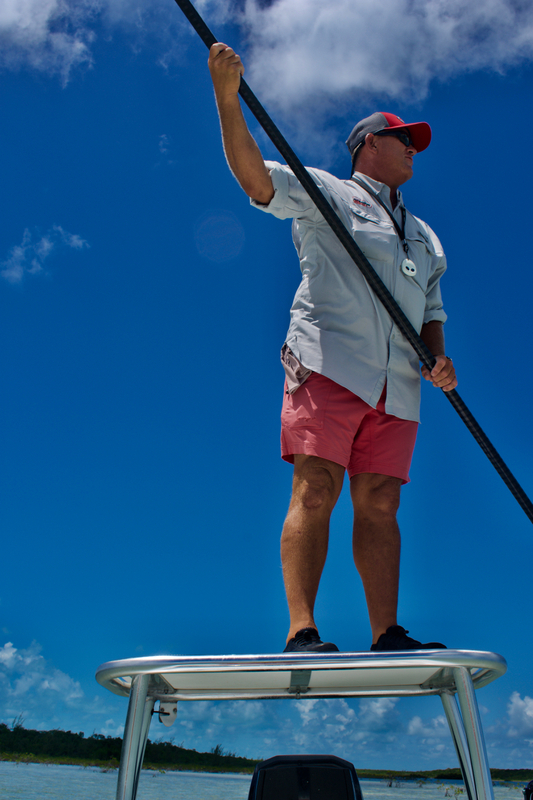 Our 2016, 18 foot flats boat is The Bossman TailSpotter. The TailSpotter is a new generation of technical poling skiff designed with shallow water tournament fishing & guide captains in mind. Is mainly a take away, but has seating in the rear under a tent. 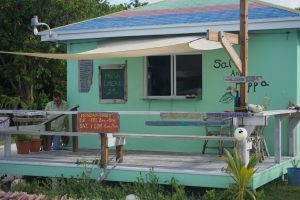 They serve true Bahamian food and as a result it is where the locals grab a bite on the run. 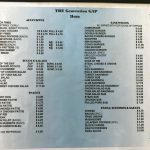 Virginia Parks is the owner operator of Salt and Peppa’s. She has a passion for good food and it shows in the food she serves through her window. Virginia calls Salt and Peppa a “Dive.” I must say this dive serves great food. For sure it is not your everyday restaurant. These kinds of places do attract me, I must say. Another delight served at this small restaurant is the fresh “limeaid” which is lemon aid made from local limes. Limeaid is really refreshing and a personal weakness of mine. When you buy a “limeaid” keep your cup, they do refills at a reduced price. 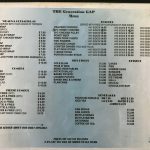 Everything I tried on the menu during my stay, I would order again. There are not too many place I’ve been that I could say that about. Enjoy and say Hi to Virginia from bahamabook! 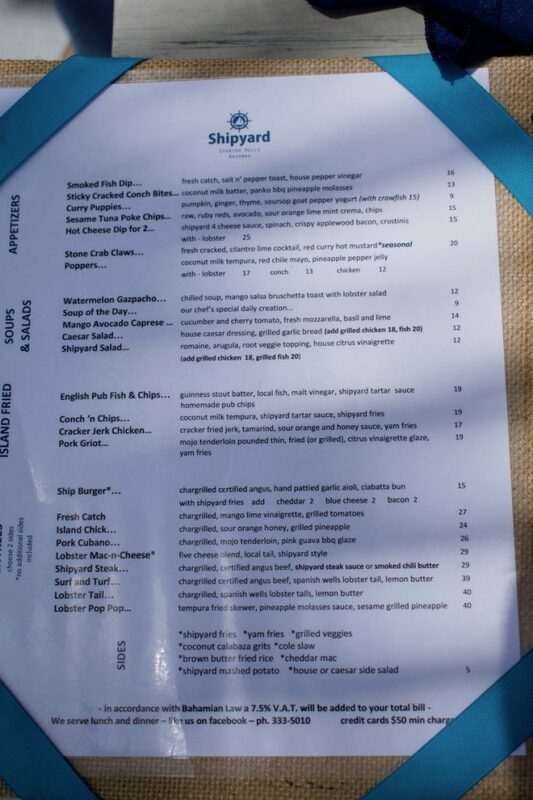 Budda’s Snack Shack and Liquor Store is a local outdoor, family friendly restaurant and bar. Bahamabook was told that Friday nights this is a happening place. The place to go to meet the locals. 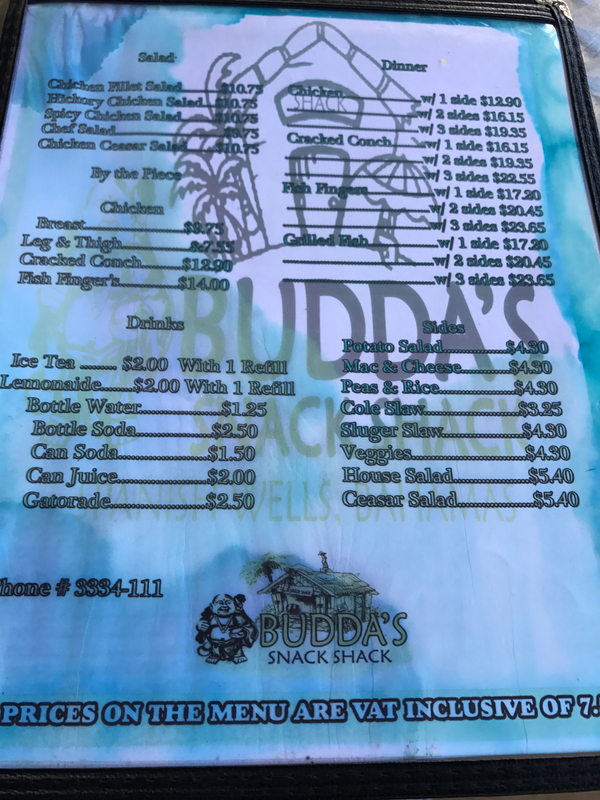 The menu at Budda’s includes Bahamian food, American food and some Chinese. Prices are reasonable between $7.00 and $20.00 per entree. Budda’s just feels comfortable, like the kick off your shoes and prop your feet up comfortable. A family can sit and relax while the kids do what kids do, and the adults can sit at the bar if they wish to hob nob with the locals. The locals are a friendly but at first reserved group. One they get to know you a bit they are warm and engaging, fun to talk with. Budda’s started the restaurant as a food truck in a customized school bus. To this day the kitchen is run from the school bus. A quick video introduction to Spanish Wells. 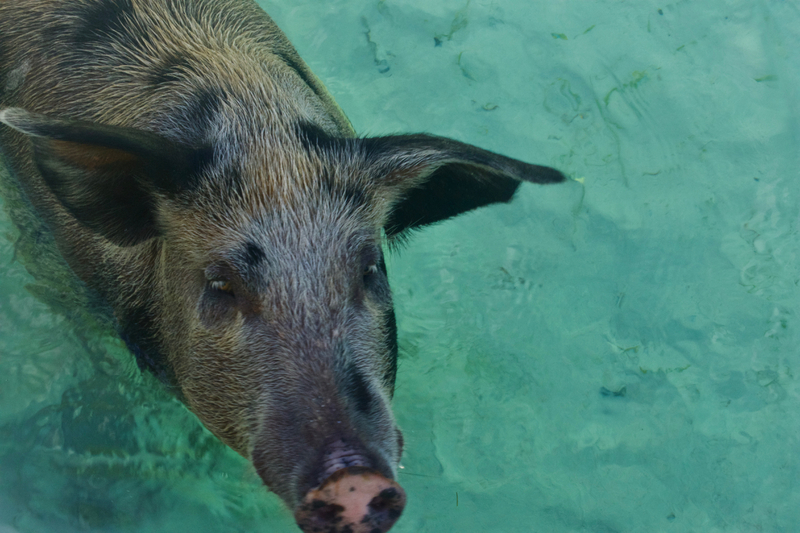 Spanish Wells is one of the best kept vacation secrets in the Bahamas. This video is a bunch of clips getting to the island from Harrisburg PA airport (mdt). The round trip ticket cost in the neighborhood of $450.00. 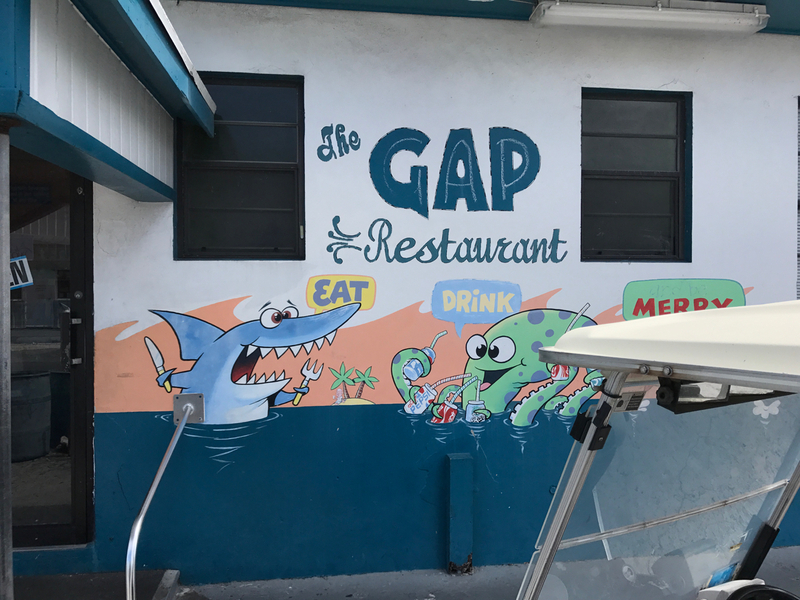 Copyright © 2019 Bahama Book. All rights reserved.